The city of Brotherly Love is gunning to be the greenest city in the USA. 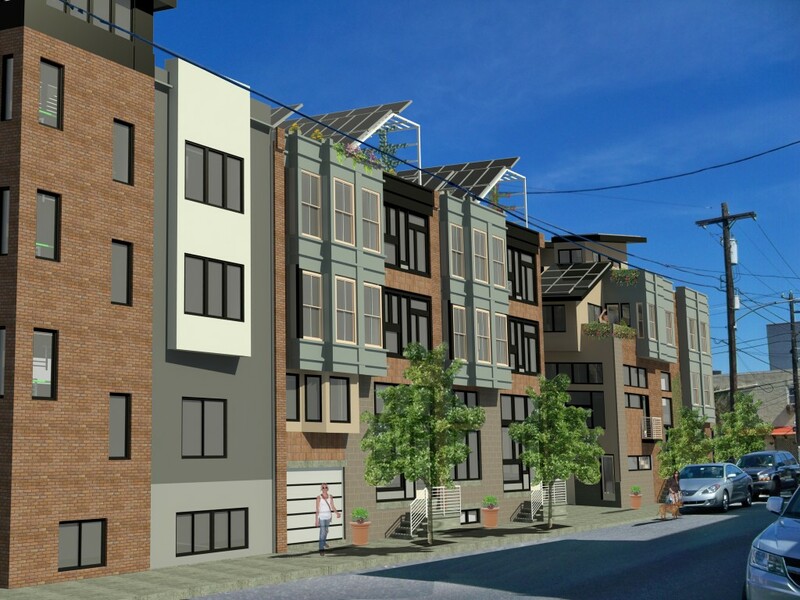 Nexus ENERGYHOMES hopes to help fulfill that vision of the Philadelphia mayor’s sustainability office with a super-green new development. The Stevenville, Maryland company is currently in the midst of building the Foundry Court project, taking up five lots between 4th and Brown Street in the Northern Liberties Philadelphia community. By mixing efficient air filtration, energy recovery, ventilation systems, and volatile organic compound (VOC) building materials, it will help to create not only some of the nation’s most energy-efficient homes, but some of the healthiest also. The new homes will also have the highest green building standards targeted by the National Association of Homebuilders (NAHB). When you add geo-solar technology for each home into the mix, you have homeowners that will be able to save where it matters the most to them: in their pocket books. “And the homes’ geo-solar technology is just the beginning of features these luxury dwellings offer prospective homebuyers. Nexus’ townhomes will offer a myriad of green outdoor home living options, such as; rooftop gardening (including vegetables and artistic plantings), and the highest practices for water reclamation,” Ashley said. “With all of those benefits and virtually eliminating home utility expenditures, the Nexus EnergyHome provides comfort and affordability far superior to any other home on the market today,” she said. With the recent announcement by Nexus ENERGYHOMES, The City of Brotherly Love may need to change it’s name to the City of Brotherly Green in the near future.